Following in the footsteps of Royal Caribbean, celebrated global cruise line Carnival Cruises is adding to its already impressive Galveston based fleet. The line recently announced its plans to station a third year-round ship in Texas with service scheduled to begin in February 2015. Western Caribbean itinerary calling at Cozumel (Mexico), Belize and Roatan (Honduras). Western Caribbean itinerary calling at Montego Bay (Jamaica), George Town, Grand Cayman and Cozumel. Bahamas itinerary calling at Key West, Freeport and Nassau (The Bahamas). As well as the regular itineraries, Oct 24-Nov 21 2015 and Jan 16-Feb 13 2016 will see Carnival Freedom operate a series of four day cruises calling at Cozumel and five day cruises visiting Mexico’s Cozumel and Progreso ports. 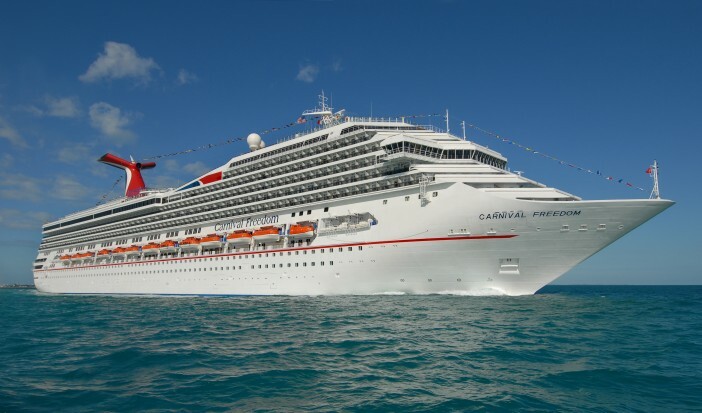 The 2,974 passenger vessel joins its fleet mates Carnival Magic and Carnival Triumph which offer seven night cruises to the Caribbean and four to five night trips to Mexico. The move marks an industry first for deploying three year-round ships from the Texas port and represents a 38% increase in Carnival’s Galveston presence. The three vessels will see Carnival carrying an annual count of around 600,000 passengers from the Texas port. Carnival Freedom will farewell its Fort Lauderdale dock, replaced by the 2,974 passenger Carnival Conquest which will leave its current station in Miami. For more information, see our Carnival Cruises’ packages or call 1300 857 345 today!